Minister of State in the Ministry of Finance and the Economy, the Honourable Rudranath Indarsingh has always been driven by his passion for the growth and development of people in Trinidad and Tobago. A former student of Hillview College and holder of a Bachelor of Science Degree in Political Studies from the University of the West Indies (UWI), he has been able to garner diverse training in Leadership ranging from programs as a member of the Youth Leadership Programme at the George Meaney Centre for Labour in Maryland for International Training in Young Leadership, to a variety of regional and international courses in professional training for International Labour. He began his career as an Educator; prior to becoming employed with the All Trinidad General Workers’ Union (ATGWU) where he held positions of leadership in the capacities of Education and Research Officer, General Secretary and finally President General of the renowned Union; for a collective period of over 25 years; where he subsequently served as Vice President of the National Trade Union Centre (NATUC). There, he made meaningful contributions towards the interests of the employees and created history while achieving major success in negotiations for members. Since then, he has been in the service of the Republic of Trinidad and Tobago commencing in 2002 as a temporary Opposition Senator. Rudranath Indarsingh has also represented workers in several privately owned companies; and on behalf of the Trade Union Movement of Trinidad and Tobago has presented numerous Position Papers to several trade union affiliates in Japan, Geneva, London, Italy, Peru, Venezuela and throughout the Caribbean and Latin America. His extensive portfolio also includes representation for Trinidad &Tobago at the International Labour Organization (ILO) and other International Trade Union Bodies. Minister Indarsingh has served as the Minister of State in four key Ministries, namely: Ministry of Works and Transport from May 2010 to January 2011, Ministry of Labour and Small and Micro Enterprise Development from January 2011 to June 2011, Ministry of Local Government from June 2011 to June 2012; commencing with his current role in the Ministry of Finance and the Economy. Rudranath Indarsingh is a recipient of the Chaconia Medal Silver of the Order of the Trinity for his contribution to TRADE Unionism for the year 2005. 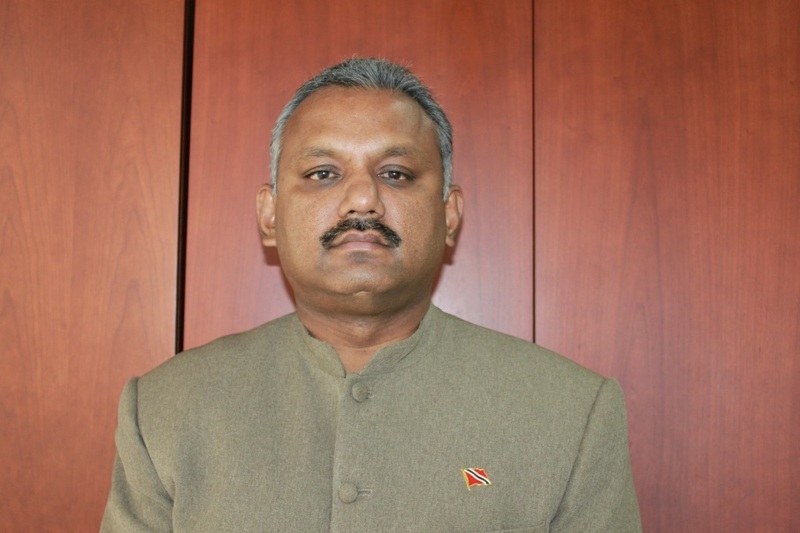 Honourable Rudranath Indarsingh most recently served the constituents of the Couva South Constituency as Member of Parliament for the elected period 2010 to 2015. As Member of Parliament for Couva South in the House of Representatives, he was a strong participant on many Committees including the Finance Committee, Public Accounts (Enterprises) Committee (PAEC), Joint Select Committee (JSC) and the Parliamentary Accommodation and the Regulations Committee for the House. He remains committed to continuing in service to the people of Trinidad and Tobago, by engaging in discussions towards effectiveness and productivity through strong governance.